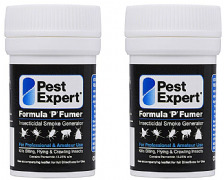 Pest Expert Formula 'P' Super Fumers are cockroach smoke bombs for fumigating cockroach infestations. Once lit, the Super Fumer releases a smoke which can penetrate into cracks and crevices to kill cockroaches harbouring there. 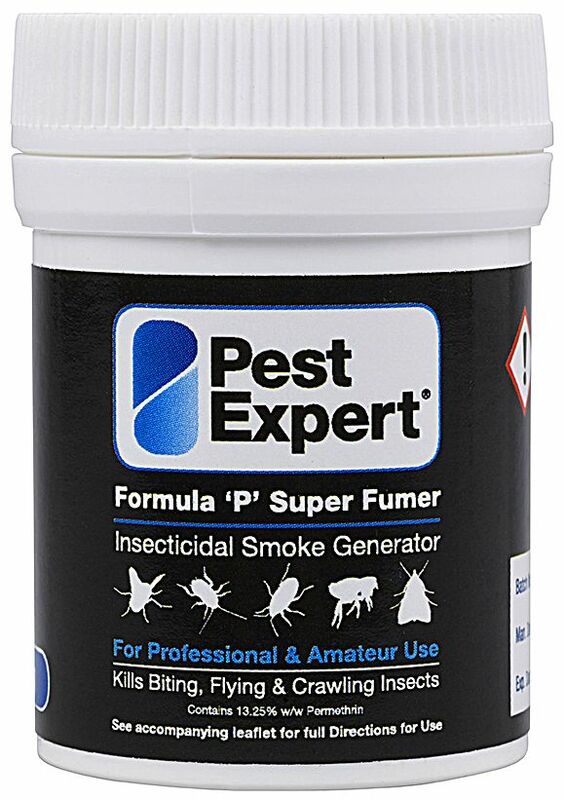 The Super Fumer is 3 times larger than a standard smoke bomb, and so contains 300% more of the powerful insecticide permethrin (13.25% w/w). Each 11g Super Fumer will treat an area of approx 25 cubic m, so you will need to use 2 Fumers for an average-sized room of approx 4m x 4m. Ventilate areas thoroughly after application. Wash hands and exposed skin before meals and after use. This product is approved under the control of pesticides regulation 1986 (as amended) for use as directed HSE No: 9557. When I received the smoke bomb, I was somewhat dubious as to what would be its effectiveness when I saw how small it was. When I used it the smoke didn't seem to last for very long so once again I wasn't expecting very good results. However I am pleasantly amazed and surprised at how effective it actually was. I would recommend this product to anyone! Nightie. Perfect! Easy to use and Excellent value.